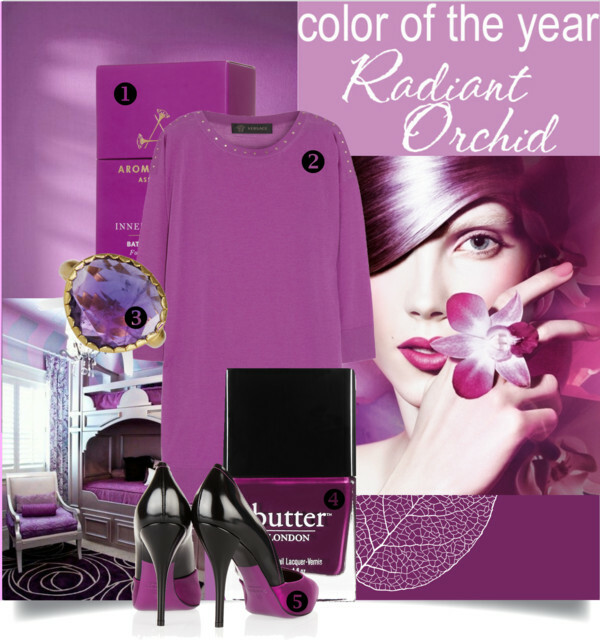 Global color authority Pantone announced its official shade for 2014: RADIANT ORCHID, a captivating and enigmatic purple! 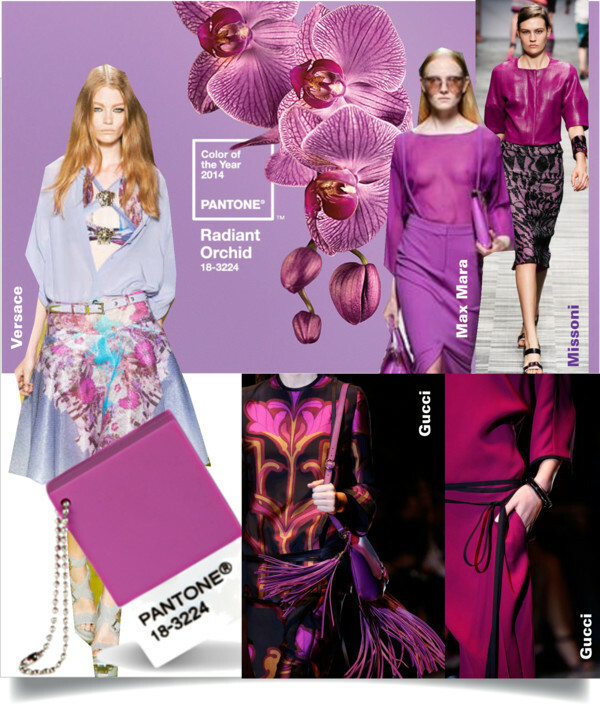 “While the 2013 color of the year Emerald, served as a symbol of growth, renewal and prosperity, Radiant Orchid reaches across the color wheel to intrigue the eye and spark the imagination,” said Leatrice Eiseman, Executive Director of the Pantone Color Institute®. Radiant Orchid’s rosy undertones radiate on the skin, producing a healthy glow when worn by both men and women. A dazzling attention-getter! My favourite accessory: Nouveau suede fringe shoulder bag by Gucci.